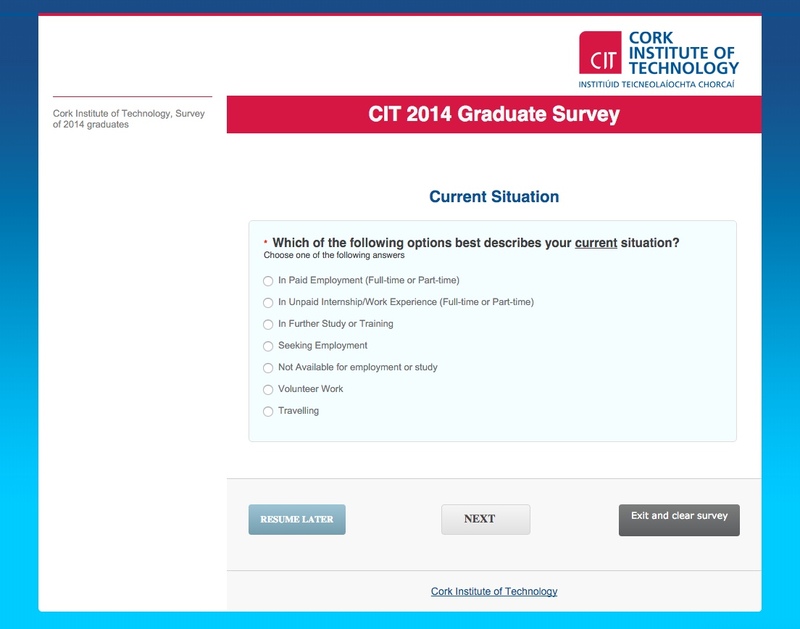 The Marketing Unit uses the open source system Limesurvey to host online surveys on https://survey.cit.ie. Limesurvey is an interactive web application for creating, managing, and monitoring online surveys. It can create surverys in many formats for public or controlled-access usage, and the survey owner can download the responses in CSV, SPSS, and other formats. Staff members with experience using Limesurvey can request access to use this system by emailing webadmin@cit.ie and the Marketing Unit can provide you an account. Please note that this system was setup for use by the Marketing Unit and is not supported by IT so we cannot provide technical support or service guarantees to other departments. Comprehensive support documentation is available https://manual.limesurvey.org/ and should be referred to for all functional enquiries. There are also many instructional videos available on YouTube.